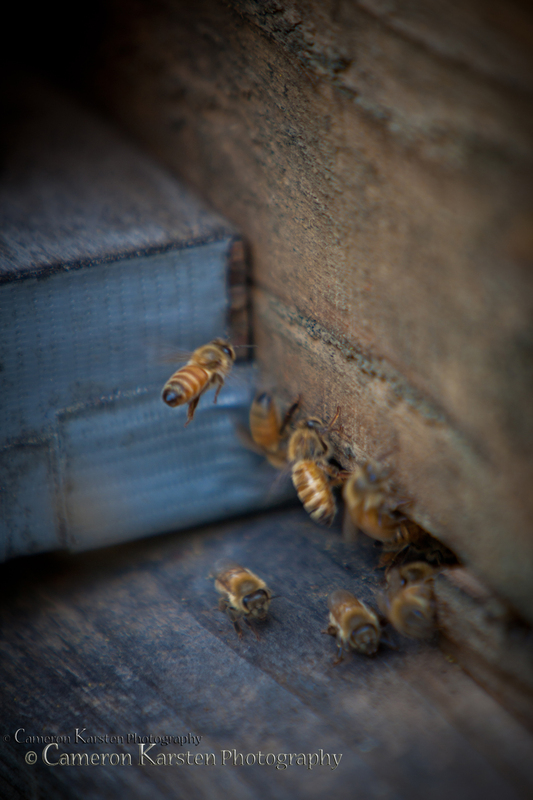 I’ve always enjoyed observing and learning about bees, and with this next assignment to show the opposites of aperture, one frame wide open with a shallow depth of field and the other as deep as it would be deemed fitting. Thus, with a 70-200mm lens and an attached doubler, I set my 5D Mark II on a Manfrotto tripod and started shooting. The first one was as shallow as possible, isolating the entrance to the hive and stopping the bees in motion. 400mm, 1/80 sec at f/5.6, ISO 1000, tripod mount, trigger fired. To create depth of field I closed the aperture to f/64 and set a Canon Speedlite 580EX II flash with a Gary Fong LightSphere Collapsible Diffuser onto the bee hive. 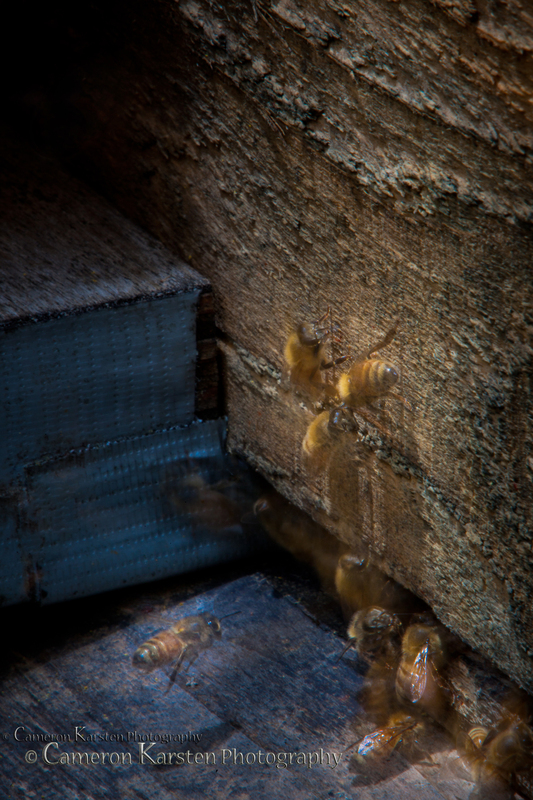 With each pop, the bees were froze in motion, however the extended shutter speed capture more ambient light in the frame and began turning the bees into ghostly apparitions. 400mm, 1 sec at f/64, ISO 200, tripod mount, trigger fired. You could certainly use these photos to bring more awareness to their plight 🙂 You made them look awfully cute and people love furry creatures.